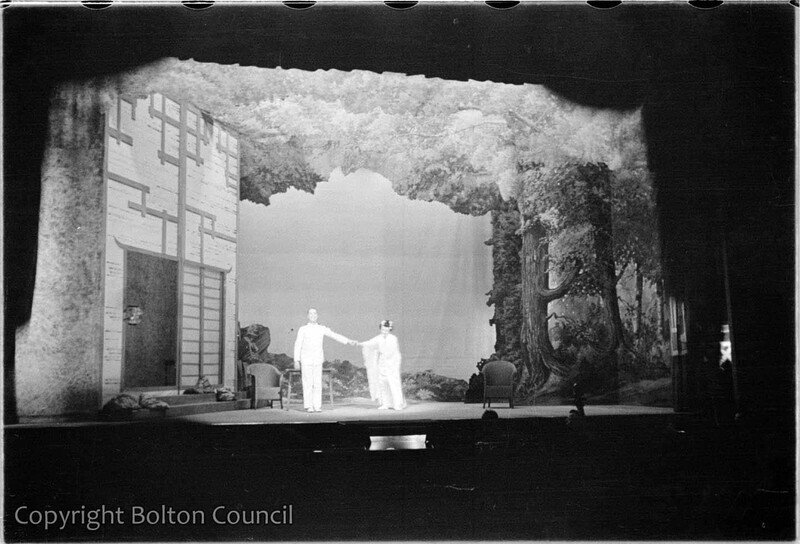 Performance of ‘Madame Butterfly by the Universal Grand Opera Company at the Grand Theatre, Bolton. Humphrey Spender went to the matinee performance at 2.30pm on Wednesday 22nd September. The building has now been demolished. A ticket and a written report by Spender are in the Mass Observation Archive alongside an account by fellow observer Brian Barefoot which was written as if was of a political meeting. Comments heard were confined to remarks on the sweet, quiet behaviour of child (aged about 3-4). No comments heard about music.